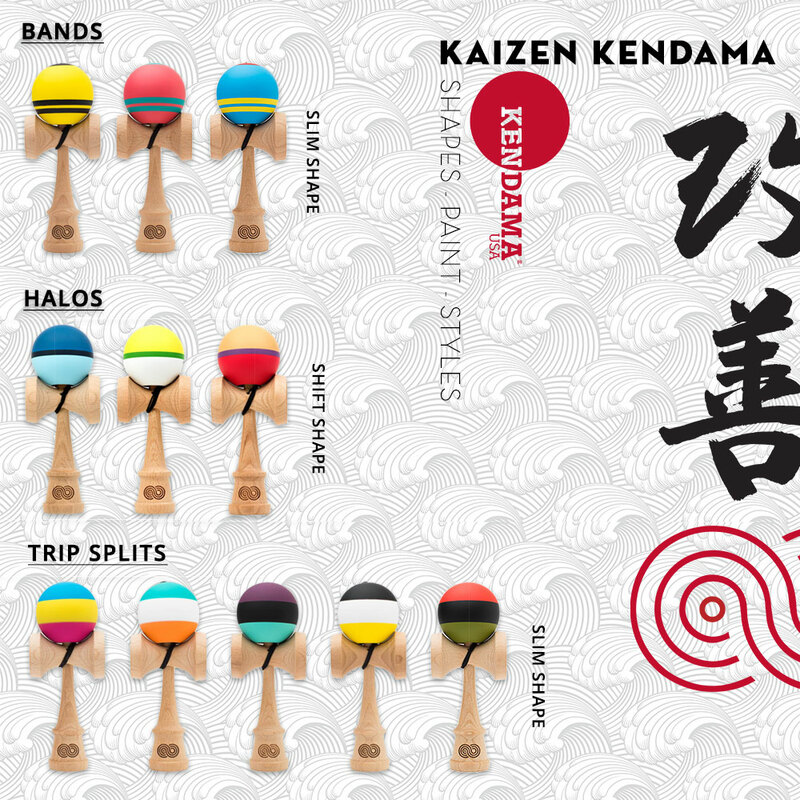 Kendama USA is proud to launch the first series of Kaizen Shifts and Kaizen Slims. The Shift and Slim shape have been extremely popular on our Craft Kendamas, and the Kaizen options now offer you these amazing shapes at a great price. Here is a picture of all the Kaizen’s we recently released. These color options are limited, so grab your favorite style while you can. Also, check out our wishlists feature to share with friends and family.